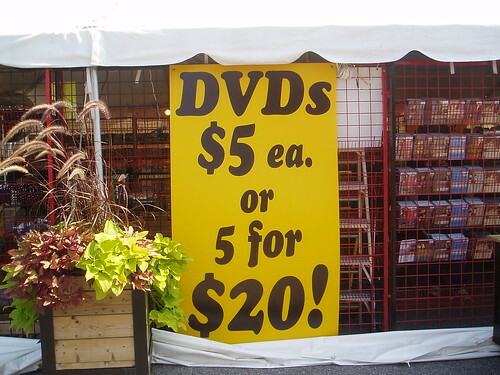 At the Ex yesterday, they had this "5 DVDs for $20" deal. There's four of us in the family, so everyone got to choose a movie and I'd top it off with one family flick. Here's the choices made. Keep in mind, this DVD shack didn't have any A-list titles. It was strictly B-list, but at $4 a pop we went for it. My Daughter - An Arthur compilation. Arthur, for the unaware, is an anthropomorphic aardvark. My Son - A Scooby Doo compilation. You sure that's not Chinatown? Natural Born Killers? I really didn't get it the first time that I saw it & don't understand it after seeing it 3 times. Maybe it's too "artsy fartsy" for me but it just struck me as weird and disturbing. natural born killers is primarily about the glorification of violence. if you didn't get it, however, the word glorification might be too big for you.